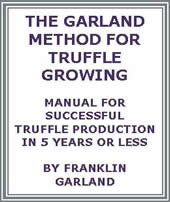 The definitive system for growing truffles using the patent pending Garland Method, proven to produce a significant amount of truffles after only five years. 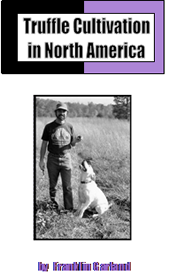 Fully illustrated, step by step manual for successful cultivation of truffles. Supplied free to Garland Truffle Customers with orders of 250 trees or more. Otherwise, it's very expensive. A generalized guide on how to cultivate the winter black "Perigord" truffles (Tuber melanosporum), including the topics of soil, climate and maintenance costs.